A love story between influential filmmaker Alfred Hitchcock and wife Alma Reville during the filming of Psycho (1960) in 1959. Interesting story about a very peculiar man. The plot is really just about how Alfred Hitchcock came about making the movie Psycho. There is nothing really fancy about that, but what really carries the movies is the characters. 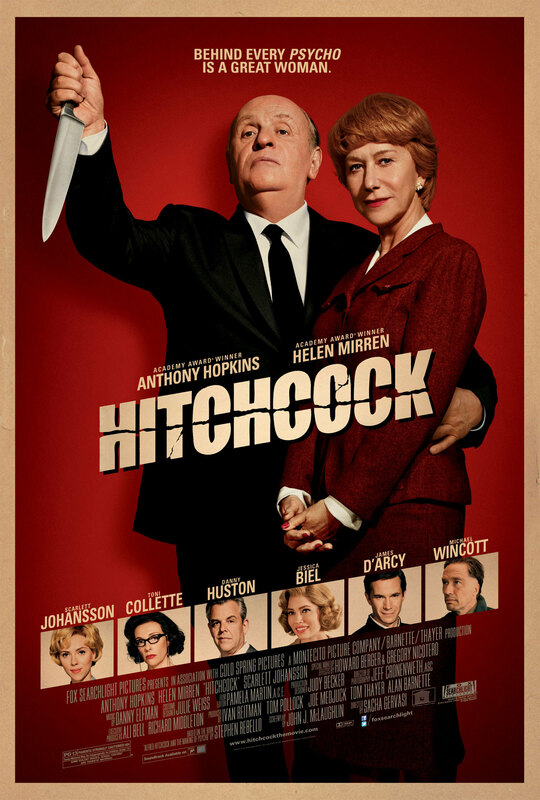 Anthony Hopkins is an amazing actor, and he is brilliant as Hitchcock. The same goes for Helen Mirren playing Alma. They both delivered (another) stunning performance and really made this movie work. Of course any movie featuring my dear Scarlett Johansson is already a bit of a hit, but that is a whole different story. Her figure and features are perfect for a classic beauty as Janet Leigh. A funny thing is that you gradually start to sympathize for the otherwise unsympathetic Hitchcock through the story due to his intense passion for making films and through the love that he and Alma shares. I have been slightly apprehensive to watch this movie since it came out, because I do not like horror or slasher movies, and a movie based on one of the greatest maker of scary movies had the potential to fall within that category. It was only after reading a thorough review of it that I finally manned up and saw it. I am very grateful that I did. It is a good movie!